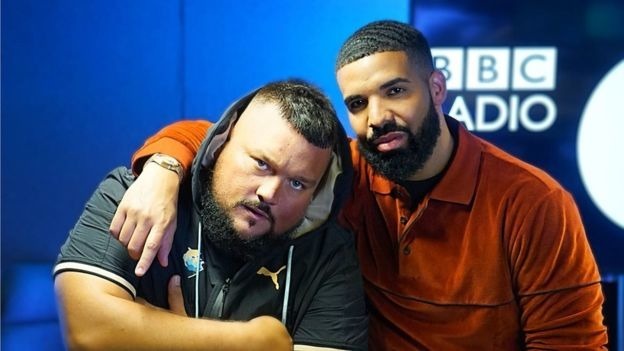 Following an exit after a short stint as the head of a high-profile late night show, BBC presenter Charlie Sloth is reportedly headed to Apple Music and Beats 1. While Sloth's departure after only a year was well-publicized, Music Business Worldwide has claimed that he is headed to helm a new show on Apple's Beats 1. Sloth hosted "The 8th" and "The Rap Show" for BBC radio, with appearances on BBC Radio 1 and 1Xtra. Sloth's "Fire in the Booth" show is self-owned, and current speculation indicates that he will be hosting it on Apple Music going forward. "Fire in the Booth" is presently hosted on YouTube, and will reportedly remain there, paired with presentation on Apple Music. "Ten of the best years of my life, I want to say a huge thank you to everybody who has listened to me over the years and supported me in everything I have done, I love you, and the journey continues," said Sloth. "I joined the BBC as a boy and I leave as a man." Zane Lowe, Apple's first Beats 1 presenter, took a similar path. Lowe departed BBC Radio 1 in 2015, and is still the head of the flagship show on Apple Music. When Lowe arrived, he envisioned a future where Apple would host multiple streams of live shows, beyond just Beats 1. "All those discussions are being had right now. Until we have something —you've said it before, Apple will go and work on things, and they present it when they feel it's right," said Lowe, when asked about expansion. "That's the answer. We're working on it." Music Business Worldwide notes that Apple has poached four big names from the BBC for Apple Music. Departures include Lowe, Sloth, former head of Radio 1 George Ergatoudis, editor Ryan Newman, and "multiple producers." Sloth's last show for the BBC will air on November 3.